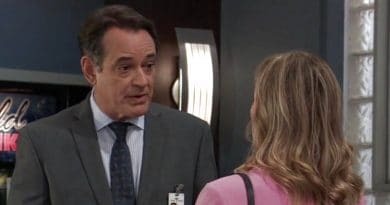 ‘General Hospital’ Spoilers: Dante Returns To Set Lulu Free For Single Life? General Hospital spoilers confirm Dante Falconeri (Dominic Zamprogna) will be back in Port Charles soon. However, it’s unclear for how long and exactly what his return accomplishes. GH spoilers predict Dante could return in part to end his marriage to Lulu Spencer (Emme Rylan). With Dom Zamprogna doing other work, and off GH, Lulu needs to be able to move on. So, Dante Falconeri may come back to tell her that he’s going to keep working for the WSB and won’t come back home to her. Certainly, it isn’t be fair to keep her waiting around while he remains undercover. So Dante will want to do the right thing and set her free to live her life without him on GH. Then again, there’s always the chance they’ve brought him back to kill him off – but let’s hope that won’t happen. General Hospital spoilers recall Dante Falconeri agreed to go undercover for the WSB. He’s helping them bring down Raj, the man who tried to kill Lulu Spencer. But that was before this recent attempt on his wife’s life in Port Charles by the serial killer. Dante said he couldn’t turn down the offer to be part of the mission to avenge what was done to Lulu. Dante told her that this was very important to him and it’s something he needs to do. 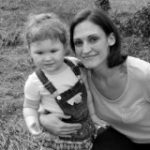 Lulu Spencer knew she couldn’t stand in his way and reluctantly agreed to let him go. They’ve tried to keep in touch, but Dante is often unreachable for long periods. Lulu hasn’t heard from Dante Falconeri in quite some time and is beginning to get worried, say GH spoilers. General Hospital spoilers show Sonny Corinthos is trying to track down his son and bring him home. He asked Anna Devane (Finola Hughes) and Robert Scorpio (Tristan Rogers) for their help seeing as they work for the WSB. However, there’s not much they can do and they’re limited on what they can tell Sonny. Robert did tell him that Dante Falconeri is in Turkey and in danger. So, Sonny took matters into his own hands and he left for Turkey to rescue his son. A new GH spoilers video promo shows Sonny in a violent rage surrounded by shady characters. 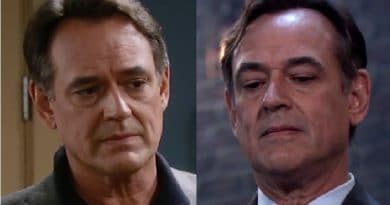 No doubt, it will be a real treat for viewers to see father and son in action together again on General Hospital. However, there’s no confirmation of whether Sonny brings Dante back to Port Chuck. The End For Lante On GH? General Hospital spoilers suggest no matter what else happens, Dante Falconeri will end things with Lulu Spencer. He is back in undercover mode and might not want to give that up again. So, he won’t want to keep Lulu waiting for the next phone call that may never come. Certainly, that’s not fair to Lulu. So, he may very well be back to just tie up loose ends and let Lulu Spencer go. No doubt, Lante fans will be disappointed but surely a hot new romance for Lulu will be intriguing. Soaps don’t leave hot single women sitting around single for long. So, it would be out of character for GH to keep her married but without a partner. What’s Next For Lulu Spencer On General Hospital? GH spoilers tease there are several romantic options for Lulu Spencer if her marriage to Dante bites the dust. Surely, there’s always the possibility of a love triangle with Maxie Jones (Kirsten Storms) and Peter August (Wes Ramsey). Lulu and Maxie have been getting along well lately and they’re due for some conflict. However, there’s always Harrison Chase Josh Swickard). Of course, he’s seeing Willow Tait (Katelyn MacMullen) at the moment but Michael Corinthos (Chad Duell) also likes her. Watch ABC weekdays to see Dante Falconeri’s brief return to GH and find out what the future holds for Lulu and her husband. Watch out for new General Hospital spoilers at Soap Dirt. ‘General Hospital’ Spoilers: Ryan Chamberlain Alive – Attacks Kevin!